With USB 3.0 and portable storage becoming more and more prevalent and most importantly cheaper, the game changes to getting the most for your money. “Most”, though is a relative term. What do you want the most of? Storage? Speed? Best speed per price? Best storage per price? Or just simply looks? Regardless of what your reasoning behind the decision, it is always good to get the best bang for the buck. 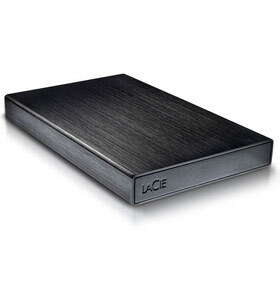 Lacie offers a relatively large capacity(500GB) portable hard drive with a USB 3.0 interface enclosed in an aluminum casing. Join me as I find out what are the limits of the drive and leave the decision up to you. Size : 75 x 118.5 x 13.4 mm / 2.9 x 4.6 x 0.52 in. Weight : 176 g / 6.2 oz. Comments : * 1TB = 1000GB. 1GB = 1,000,000,000 bytes. Total accessible capacity varies depending upon operating environment (typically 5–10% less).